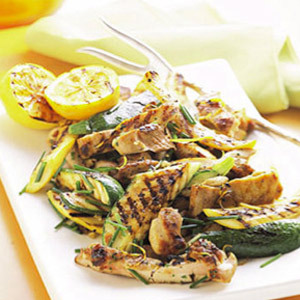 Grilling out – Healthy (and yummy) recipes. Chop the vegetables into similar sized chunks. Place all ingredients in large bowl. Do not drain pineapple. Mix, then drain all liquids. Option 1 — place vegetables in grill-safe roasting pan and place on grill. Cook on medium high heat. Stir every 5-10 minutes until tender. 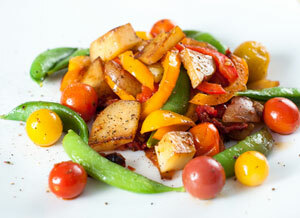 Place vegetables in roasting pan. Bake at 350 degrees. Stir every 10 minutes until tender.